AKTUALMENTE NO TIN NINGUN VIGILANSIA ÒF ATVERTENSIA PA SIKLON TROPIKAL (DEPRESHON TROPIKAL, TORMENTA TROPIKAL ÒF ORKAN) NA VIGOR PA KÒRSOU. 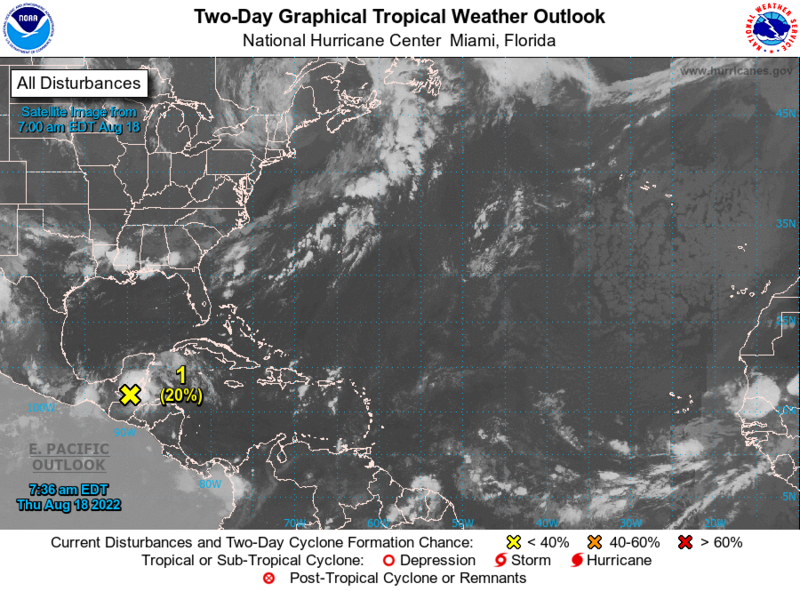 THERE ARE CURRENTLY NO WATCHES NOR WARNINGS FOR TROPICAL CYCLONES (TROPICAL DEPRESSIONS, TROPICAL STORMS OR HURRICANES) IN EFFECT FOR CURAÇAO. Please visit our Links Page to see more information on Post -tropical Cyclone Oscar. ER ZIJN MOMENTEEL GEEN (VOOR)WAARSCHUWINGEN VOOR TROPISCHE CYCLONEN (TROPISCHE DEPRESSIES, TROPISCHE STORMEN OF ORKANEN) VAN KRACHT VOOR CURAÇAO.